We always look forward to the ‘Condé Nast International Luxury Conference: The Language Of Luxury’, which has a tendency to set the agenda in fashion circles, as well as putting its fingers on some pressing industry issues. The event will take place in Lisbon this year, from April 17 to 19, and it promises to be an enlightening experience, as always. On the speaker line-up this time around are the Vogue editors from around the world, Felipe Oliveira Baptista – the creative director at Lacoste, Alfredo Arobio – founder of AWAYTOMARS, and Antonio Costa – the Portuguese Prime Minister himself. Among the topics up for discussion will be the ‘Future Language of Luxury’, ‘The Language of Online’ and ‘The Language of Power Dressing’ – sensing a theme here? As always, we look forward to hearing what this line-up of keynote speakers has to say. If it is anything like as interesting as last year’s branding theme, it will certainly be worth a listen! 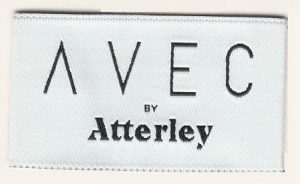 We are firm believers that a brand label can help distinguish an exclusive designer garment from a mass produced item. From woven labels and fabric labels to the new generation of products, brand labels are proving that they can be both eco-friendly and fashionable; aligning with both the design objectives and CSR responsibilities of today’s designers. Consumer behaviour has tracked a marked increase in demand for personalization on clothes, and personalized clothing labels are going a long way to fueling this trend. 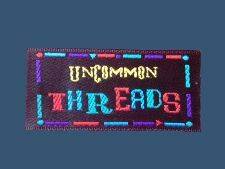 We have also seen features such as zipper pulls and badges make their own contribution to bringing our fashion choices closer to us as individuals. Contact us on below email, and send your brand label design to our team. We can help to produce a woven clothing label for your luxury fashion brand.